Miami Stainless’s range of ultra-high quality ProRig AISI 316 marine grade stainless steel hooks includes Spring Hooks with and without Eyes and Screw Nuts, Cast Snap Hooks, Swivel Eye, Bolt Snap Hooks, J Hooks, Snap Shackle, S Hooks, S Load Cover Hooks and Double Ended Bolt Snap Hooks. Ideal for shade and marine applications, fabricated from the highest quality steel, our range of products are a durable, resilient and corrosion and stain-resistant solution for your next project. Available in sizes of up to 100mm, our collection delivers a high level of durability and longevity in a variety of settings. Our hooks are sourced from a number of manufacturers chosen for their dedication to quality, their reliability as business partners and their strong quality control protocols. 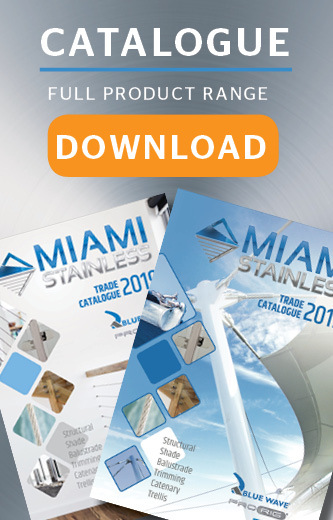 Whether you’re erecting a shade sail or looking for secure fasteners for sea vessels or mooring, make the smart choice for your next project and shop with Miami Stainless. Order today through our convenient online store, or get in touch with our knowledgeable team with any questions. 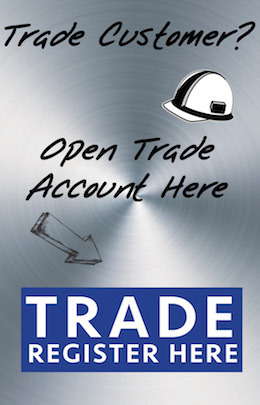 Fill in our enquiry form, send us an email at info@miamistainless.com.au or call us on 1800 022 122. Spring Hook With Eye & Screw Nut 6mm AISI 316 Miami Stainless 6mm Spring Hooks With Eye & S..
Spring Hook with Eye & Screw Nut 8mm AISI 316 Miami Stainless 8mm Spring Hooks with Eye & Sc..
Spring Hook With Eye & Screw Nut 10mm AISI 316 Miami Stainless 10mm Spring Hooks With Eye & ..
J Hook 25mm AISI 316 Miami Stainless J Hooks are produced from high quality AISI 316 marine ..
S Hook 6mm AISI 304 Miami Stainless 6mm S Hooks are made from high quality AISI 304 stainles..
S Hook 8mm AISI 304 Miami Stainless 8mm S Hooks are made from high quality AISI 304 stainles..
S Hook 9mm AISI 304 Miami Stainless 9mm S Hooks are made from high quality AISI 304 stainles..
S Hook 6mm x 40mm AISI 316 Miami Stainless 6mm x 40mm S Load Cover Hooks are made from high ..
Swivel Eye Bolt Snap 120mm AISI 316Miami Stainless Swivel Eye Bolt Snaps are made from high quality&..
Swivel Eye Bolt Snap 90mm AISI 316Miami Stainless Swivel Eye Bolt Snaps are made from high quality&n..
Swivel Eye Bolt Snap 80mm AISI 316Miami Stainless Swivel Eye Bolt Snaps are made from high quality&n..
105mm Double Bolt Snaps AISI 316Miami Stainless Double Bolt Snaps are made from high quality AISI 31..
Swivel Eye Snap 70mm AISI 316Miami Stainless Swivel Eye Snaps are made from high quality&n..
Swivel Eye Snap 100mm AISI 316Miami Stainless Swivel Eye Snaps are made from high quality&..
Swivel Eye Snap 85mm AISI 316Miami Stainless Swivel Eye Snaps are made from high quality&n..